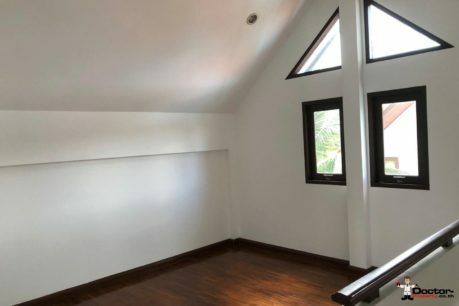 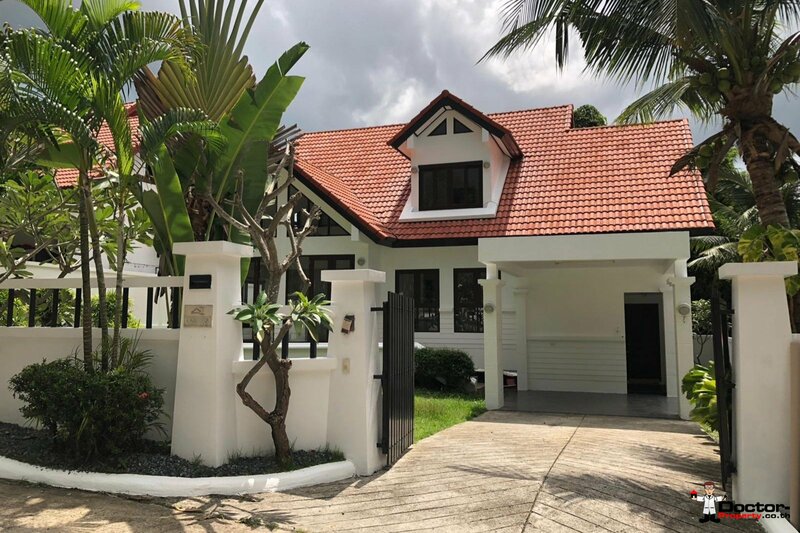 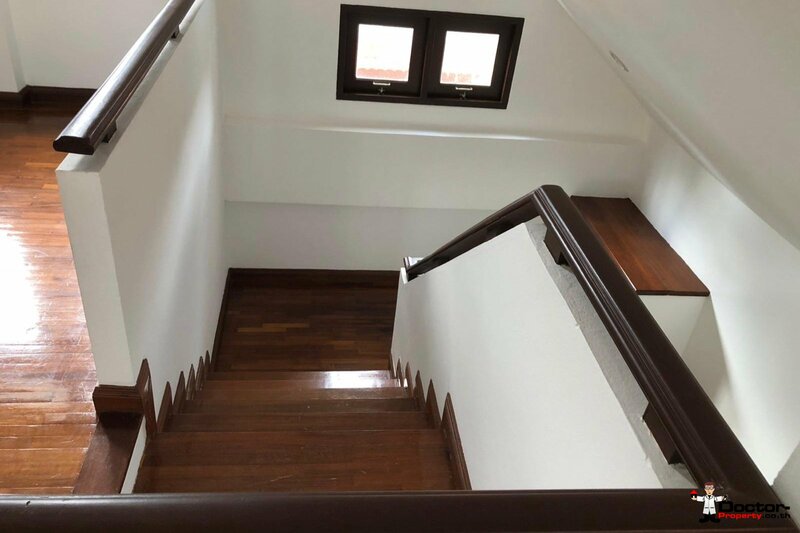 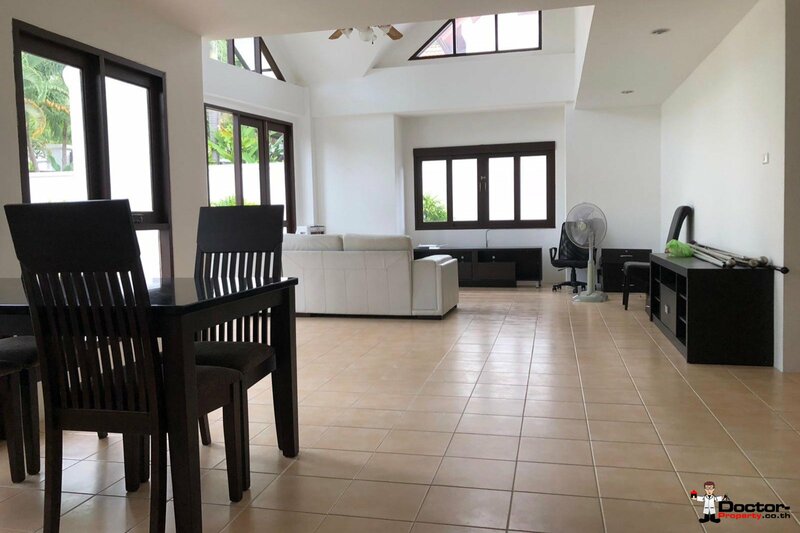 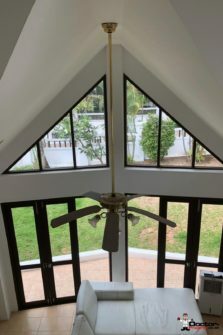 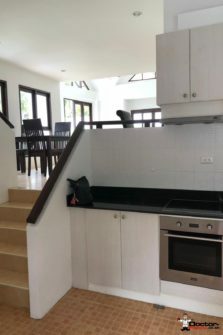 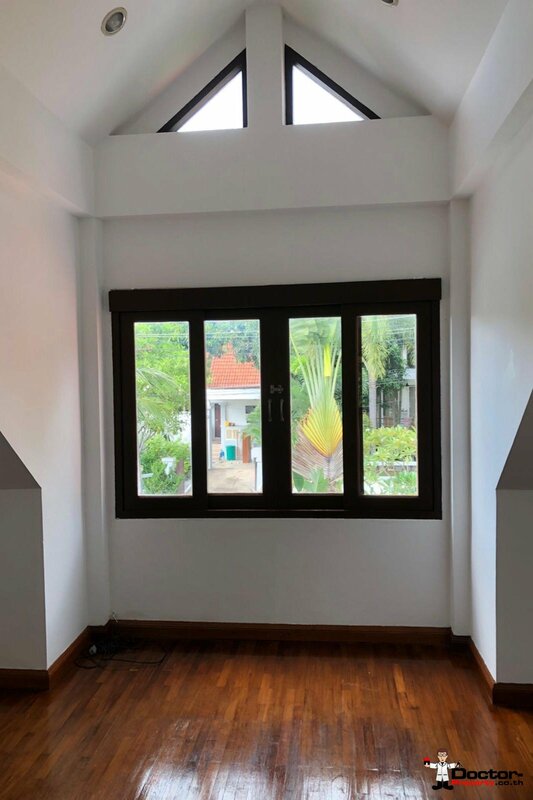 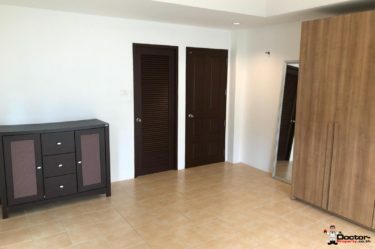 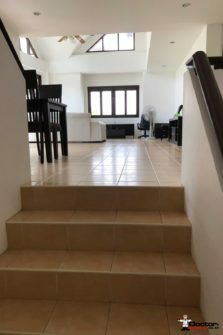 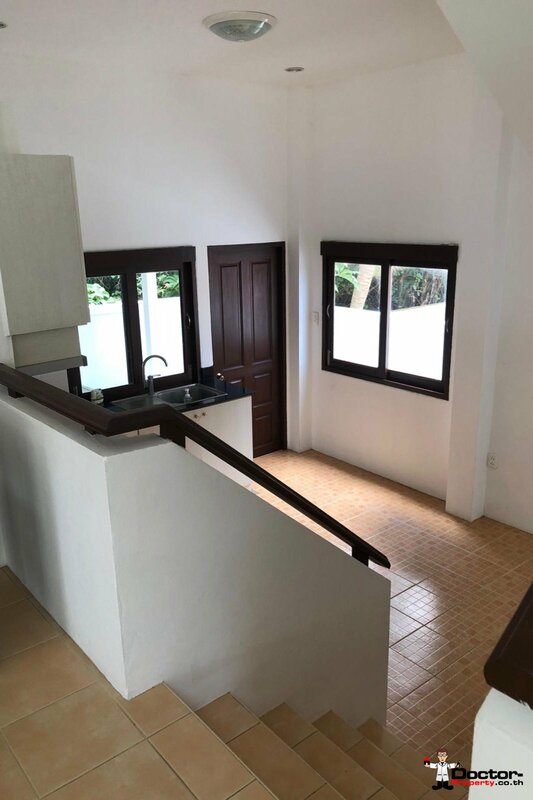 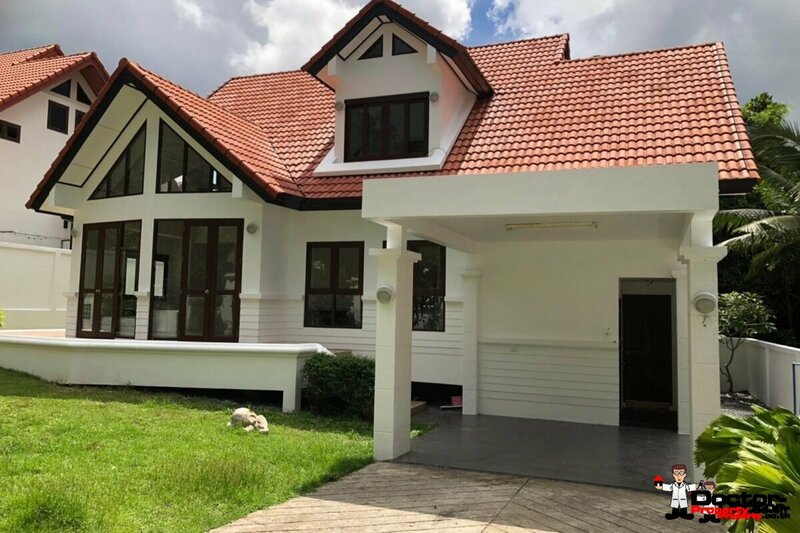 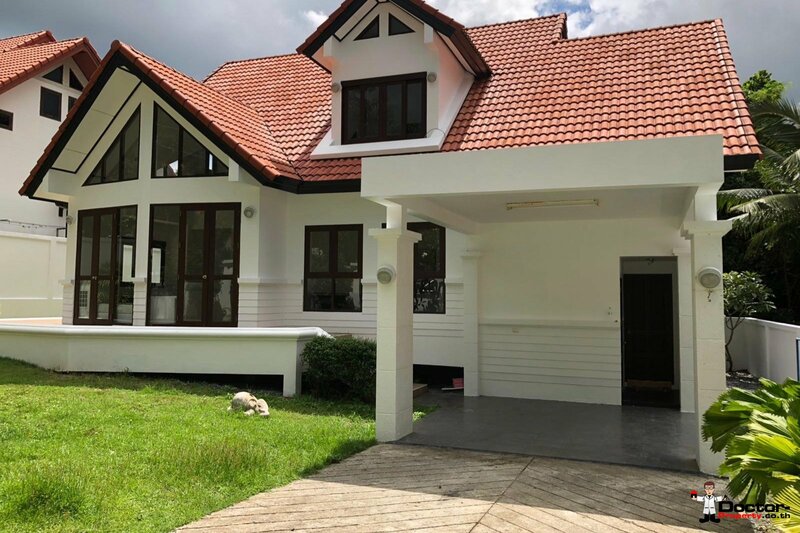 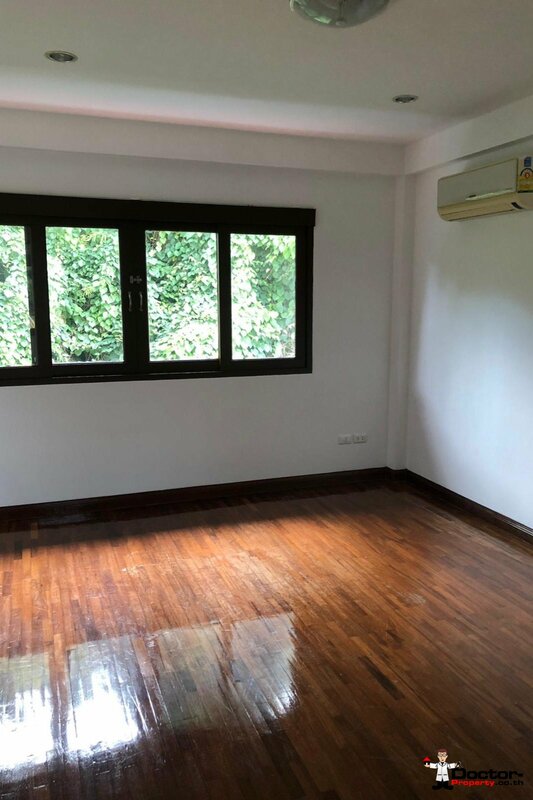 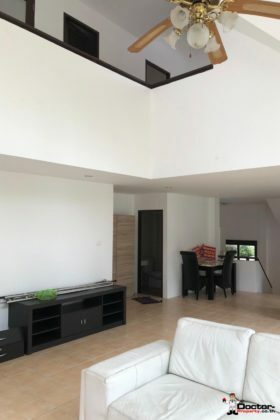 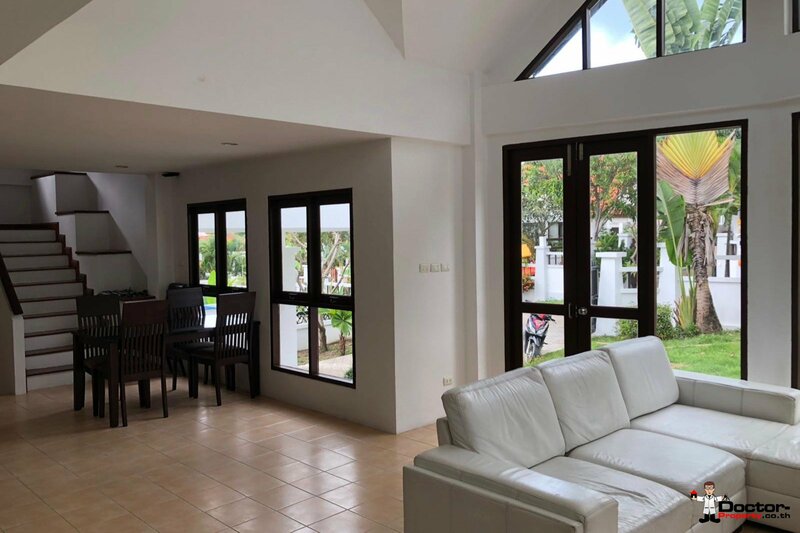 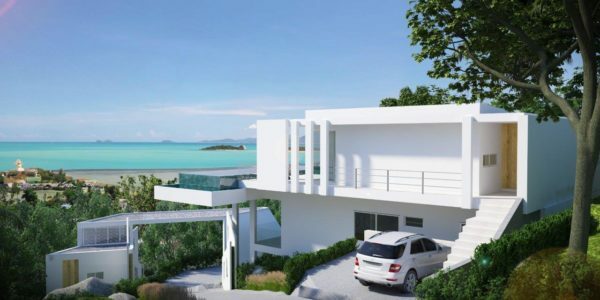 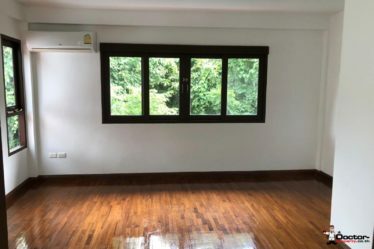 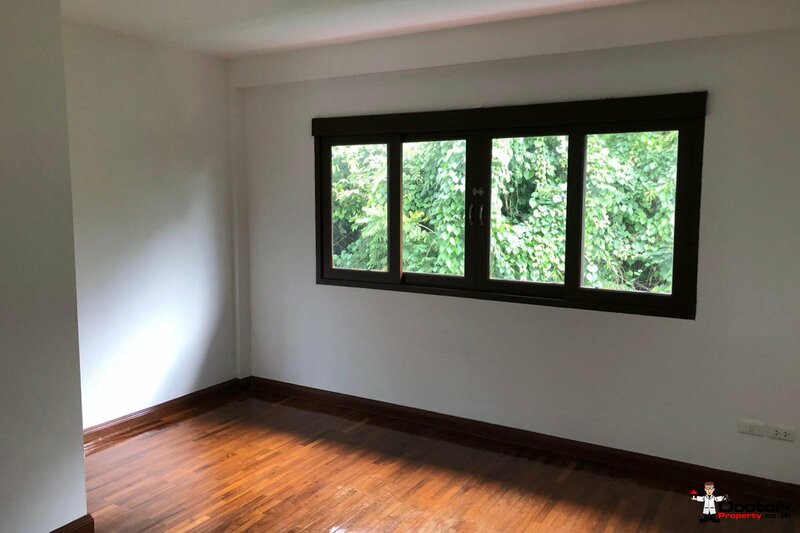 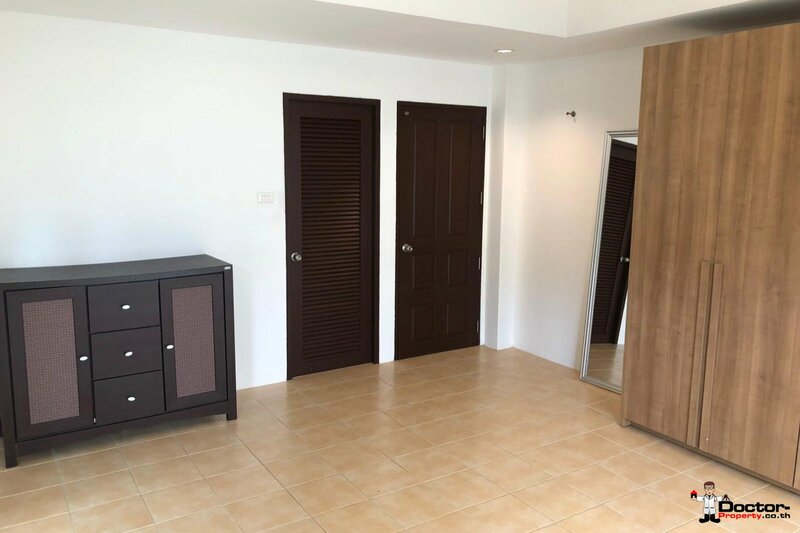 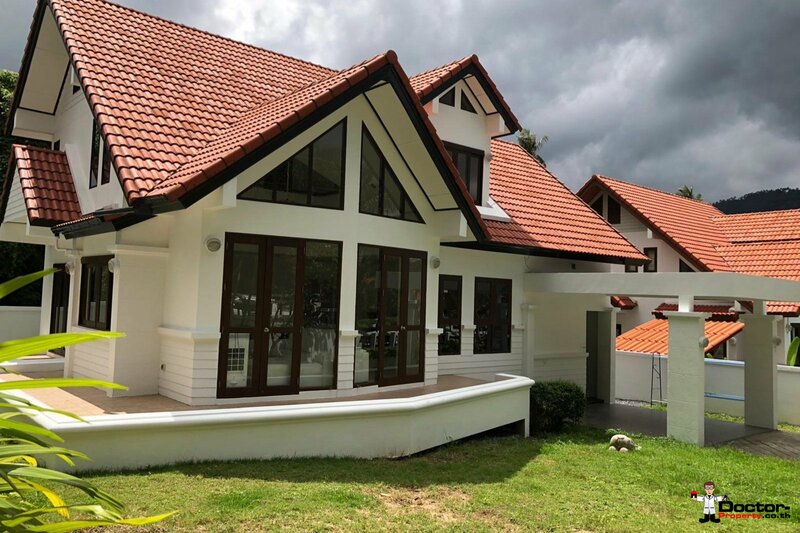 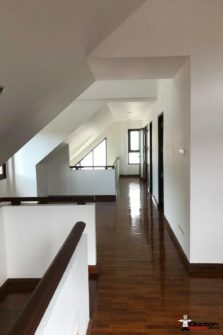 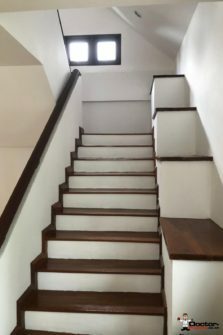 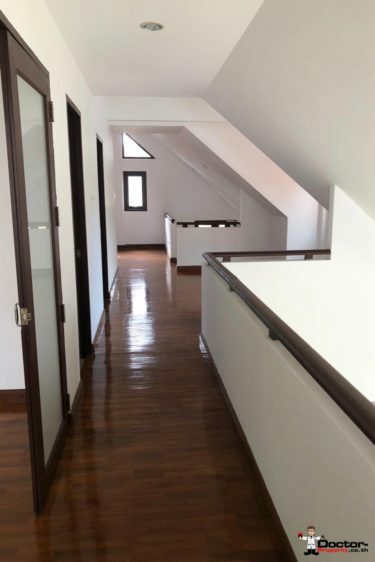 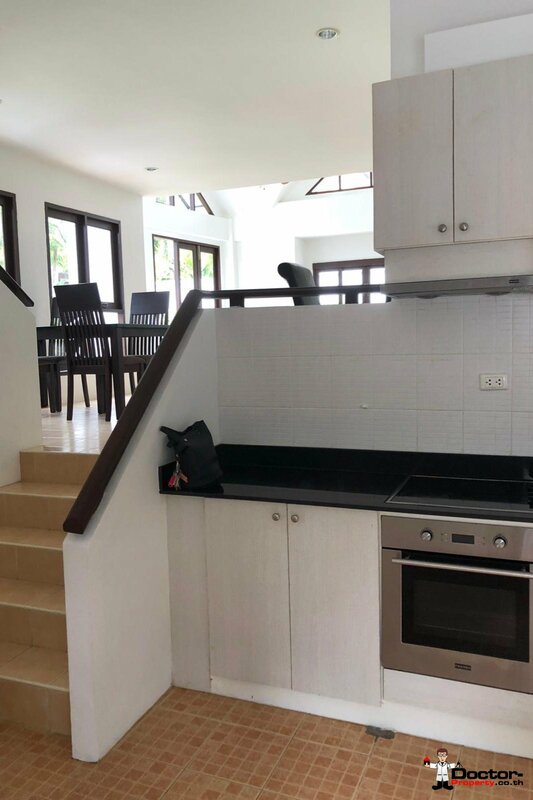 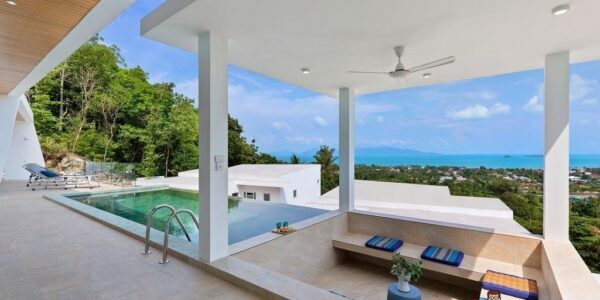 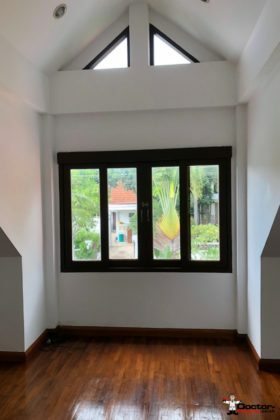 This latest offering from Doctor Property is a modern Thai style home conveniently located in a quiet neighbourhood just off the main ring road in the Chaweng, Bo Phut area in Koh Samui. 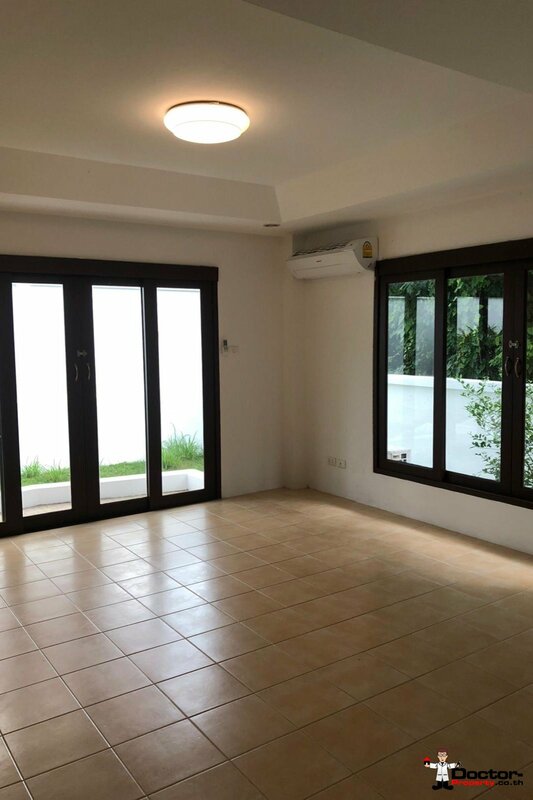 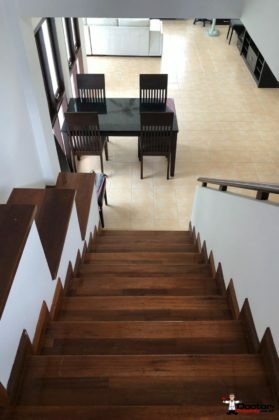 3 bedrooms are offered in this house which is designed for living in, with its open plan layout and high ceilings. Wooden flooring and touches feature throughout the house. 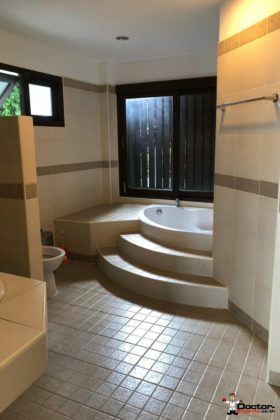 There is a bathtub in the main bathroom. 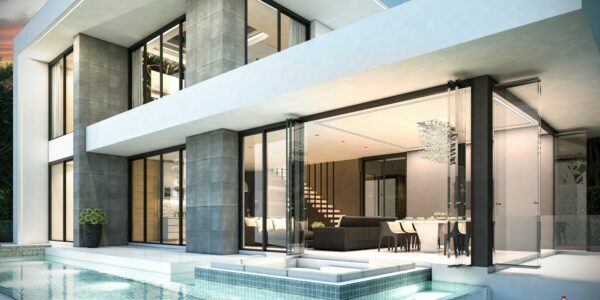 Outside there is an enclosed garden with a gated entrance and covered parking for your vehicle. In the immediate area you’ll find a number of similar houses amongst other properties home to expats and longer term residents alike. 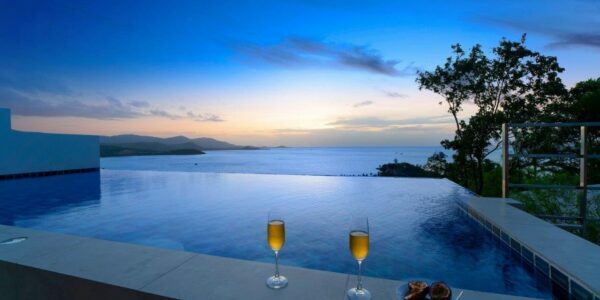 This is a quiet area with no through traffic, so privacy is a guarantee. 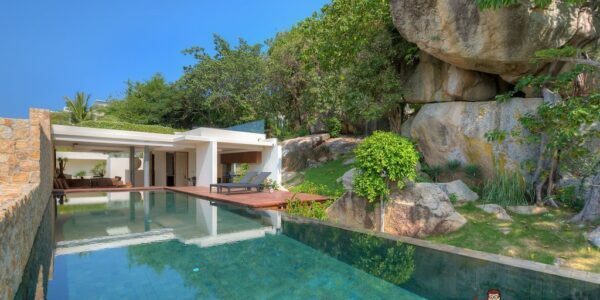 There is also a fitness centre further up the hill. 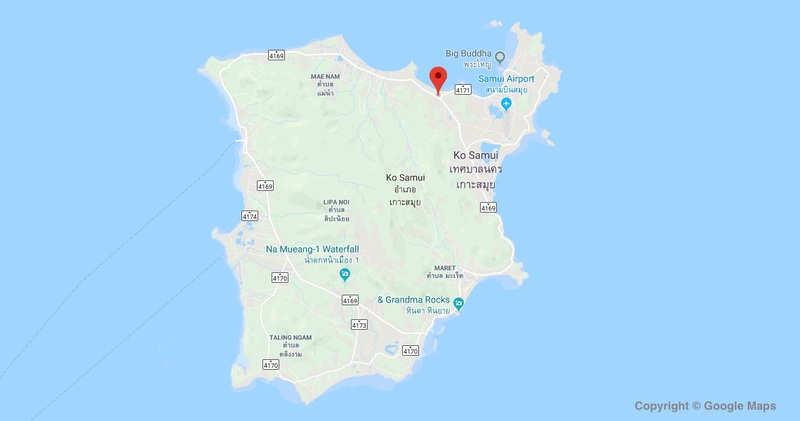 A couple of minutes drive will take you to the Big C, Tesco, Fishermans Village and The Bandon International Hospital. Downtown Chaweng and the Airport are a few minutes more.